Delight your guests with the wonderful taste of rich Belgian chocolate. They can select from an array of yummy chocolate dipping treats, such as strawberries, pretzels, cookies, marshmallows etc etc… Our chocolate fountain can be used at just about any event where you would like to make a lasting impression on your guests. Brides can use our chocolate fountain in place of the wedding cake, as an appetizer or as a great addition to a cake. Our Chocolate Fountain can turn an average event into a memorable occasion for your guests! If you are looking for something unique and fun, you will want to book our Chocolate Fountain. Rent our chocolate fountain as an appetizer or as a dessert and your guests will remember your wedding or special event as unique and sweet. 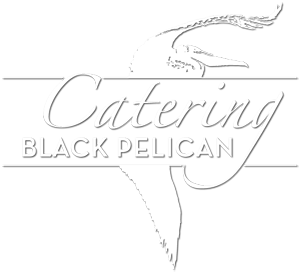 Black Pelican’s Chocolate Fountain will be the center of attention at your event! If you want your guests to talk about your special event idea for months to come, be sure to place your reservations early! White, Milk or Dark Chocolate, 1-2 hours of operating time, delivery, an attendant to set up maintain and tear down fountain, skewers and a sturdy table. We provide enough chocolate to serve 25 to 200 guests, and additional guests are charged at .50 per person. Please call for pricing on large events. Our Rate is $200.00 for all of the above. We will arrive at your event approximately 1 hour prior to the starting time listed on your contract, to set up the fountain. We’ll take care of all the details of cleanup and taking down the fountain after your event. Our attedant will be on duty to to run the machine, and to prevent any possibility of damage or misuse. The set up and tear down is on our own time and is not deducted from your 2 hours . The fountain will be running and available for your guests for 2 full hours. For occasions where a longer time than 2 hours is needed, additional charges will apply. Ask about our special rates for all day events. Dipping items are not included and can be provided by you, or we can provide an assortment of items for dipping starting at $7.00 per person which includes 8 dipping items. Items may vary according to availability. We are happy to make substitutions and provide additional items. The price will be dependent on your choices, ask for a quote.